For those who are planning to switch from copper to fiber internet connection, you can try Converge ICT FiberX, Fiber Xtreme, iBiz, MicroBiz unlimited internet plans. If you are living in Metro Manila cities, you got the highest chance of their network service availability. 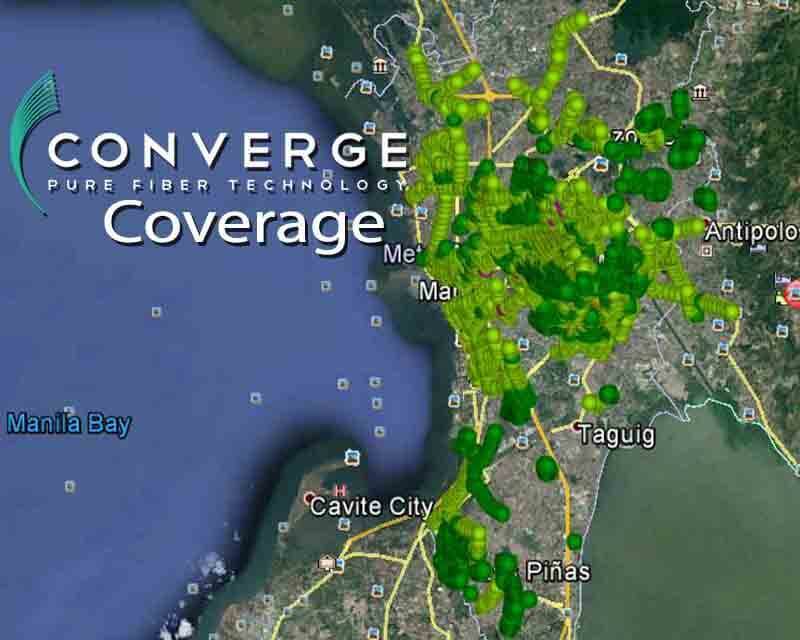 Though they are expanding their coverage down south Luzon, there are still areas that are not serviceable. You need to check your location first or call their hotline as a preparation for your application. You also need to complete the requirements such as valid ID, proof of billing and other supporting documents. The company continues to expand their network coverage, hopefully their fiber plans will soon be available nationwide. For now, here are the list of possible Converge serviceable areas. Future expansions to Baguio, Nasugbu, Batangas, and San Fernando in La Union. For other areas and location you can check Converge ICT Self-Service to check if your location is covered by their Fiber network.